I open this thread hoping to do not break any rules as a fresh registered user. I lurked for a lot this epic forum and I now finally decided to register. I'll do my best to make as little grammar errors as possible but I already know that they will be a lot since English is not my native language. Closed this personal footnote I'm here to ask you if I'm the only one who think that Loeb's record is at risk next June 24. It seems that Dumas did it in 7'57"
Incredible. I'm looking forward to watching this later. Bentley also broke a record - fastest production SUV with a Bentayga (who even knew that there was a record to break for that!). That VW was insanely fast though - and a good example of where electric power does have an advantage - no drop off in power as the altitude increases and the instant torque is useful out of the corners. Originally Posted by Yuri G.
When Peugeot took Loeb to Pike's Peak, they did a big hoopla, livestreams, talking about the car, the factory, the training, etc. They even took the oportunity of restoring and re-releasing "Climb Dance" from back when Peugeot took the 406 RallyeRaid with 4WS to Pike's Peak. From VW, not. a. peep. 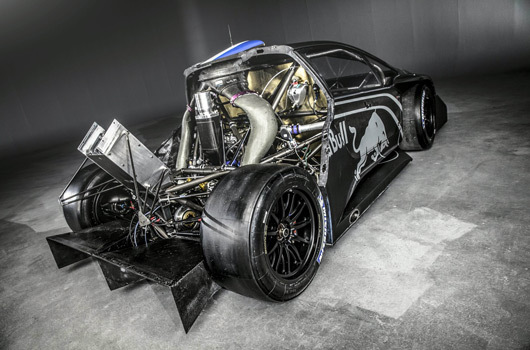 They have their own history on Pike's Peak, but that was with the Audi GroupB rallycars, and although Audi had to leave the WEC because they used Diesel, and this car is (allegedly) using a drivetrain with some relation to the Porsche Mission E's drivetrain, it's VW that needs the PR cleanup from Diesel fumes. And yet, they did nothing with it. Some more videos coming up. This record can come down, Romain wasn't perfect, it was very dusty, they were conservative with the settings. I just hope some other manufacturer picks up the gauntlet next year and gives VW a reason to really push this car. Last edited by tigas; 26 Jun 2018 at 01:12. Does anyone else not really feel that excited by an elextric car breaking this record? Even Loeb's record is not really that special, that was basically a 908 LM car underneath! The original post was made hoping to come back and talk about a record set by a PP rookie on a 2wd car powered by an internal combustion engine. Unfortunately the team was hit hard by misfortune. Anyway the time set by Dumas was probably not achievable by Simone, Loeb's record instead was achievable according to practice sectors time. All the extra test VW made on the Peak and mostly the huge budget (compared to private teams) made once more, as commonly happen in motorsport, the difference. Not really, the only parts borrowed from the LMP were brakes and the rear wing. The frame was tubular and the engine a petrol turbocharged V6. It’s blummin’ brilliant and oddly that makes some people so miserable they have to make forum conversations boring and stop any chance of a vibrant discussion. Have VW released any 'on board' coverage yet?